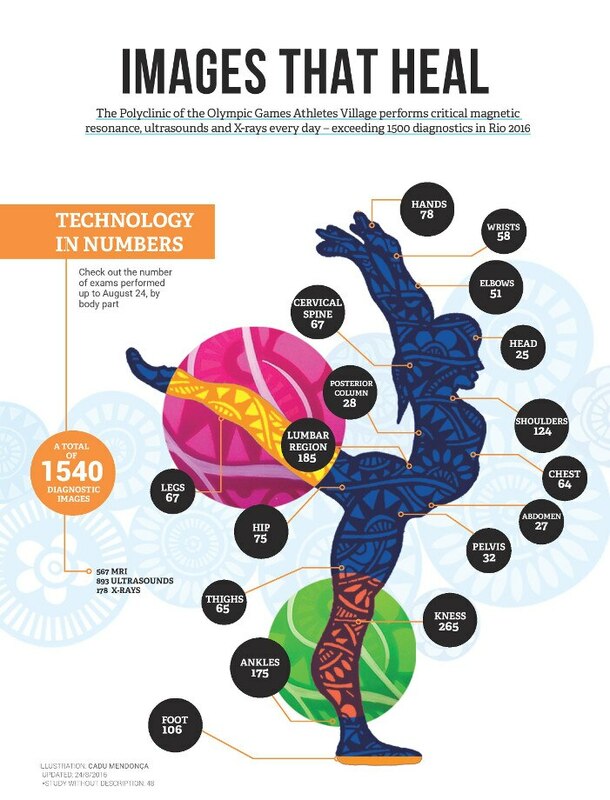 Hard work and talent combine with medical technology to shatter world records during the Rio 2016 Olympic Games. A final Olympic record was broken in Rio de Janeiro, host of the first South American edition of the Olympic Games: The Polyclinic carried out around 900 consultations in a single day, outmatching the peak of 650 consultations in a single day at the London 2012 Olympic Games. 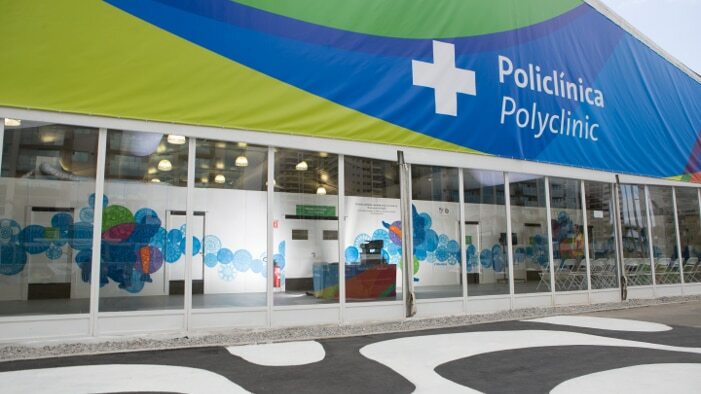 Located inside the Olympic Village, the official residence of the competitors, the Polyclinic has 160 rooms and a staff of 180 professionals who provide high quality free care to these distinguished visitors. “It is important to point out that they went there not only because the service is free, but because the volunteer medical staff gave their best through the entire Games to provide athletes with the best care,” said Dr. Marcelo Patricio, deputy chief medical officer at the Polyclinic. In the Polyclinic the athletes could find professionals and equipment of almost every category of medicine, from gynecology to general clinical services, as well as an imaging diagnosis center with digital X-ray, tomography and resonance devices, which surpassed the number of 1,500 exams performed. From left: Dr. Marcelo Patricio, Rio 2016 Deputy Chief Medical Officer, Edson Silva, Brazilian canoe sprint athlete, and Wallace do Amaral, GE clinical application specialist. One of the main innovations at this year’s Games cannot be seen by those who walk into the Polyclinic. GE, through an unprecedented deal with the International Olympic Committee (IOC), implemented a software to manage the health of the entire medical structure. With the Electronic Medical Record (EMR), it is possible to control and analyze in real-time all medical interactions of the athletes, such as examinations, medication, dental appointments and allergy data. This digital system provided reliable information and helped to make sure the doctors had immediate access to the history of the athletes. This is the first time in the history of the Olympic Games that a software like this has been available for all athletes. More than just an electronic record, this solution also unified the assistance information in a single cloud platform and came with a version in Portuguese to meet the Brazilian health laws. 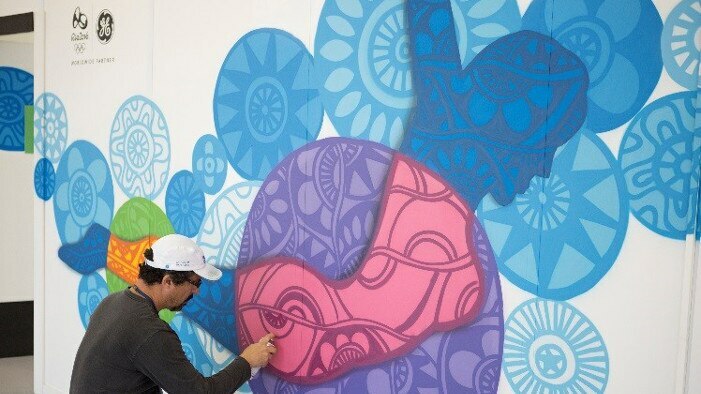 Cadumen, a Brazilian urban artist working at the Polyclinic. Discover the number of imaging diagnosis exams performed up until August 16th this year, grouped by body part and type.